LACCS-UK | London | UK | Juan Monroy. Professor J. R. Monroy is the Founder and Hon Chairman of LACCS-UK, which was established in 1983 with the aim of strengthening cultural understanding among all nations accredited at the Court of St. James's. Website currently receives over 100,000 visitors per year from 100 countries around the world. LACCS-UK is celebrating its 36th Anniversary at the SBC. What is more, for three decades LACCS-UK contribute with its music programme to a better cultural understanding amongst all nations accredited to the United Kingdom. 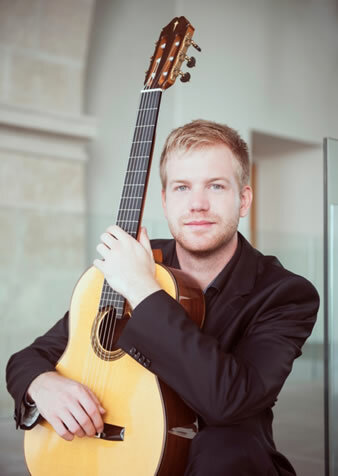 Tonight LACCS-UK is proud to introduce Karol Samuelcik's debut at the Purcell Room, Queen Elizabeth Hall with a repertoire including masterpieces for classical guitar by composers of the 19th and 21st centuries. All of them, genius in writing pieces, which are part of Europe and South America guitar legacies. Op.77, SONATA. 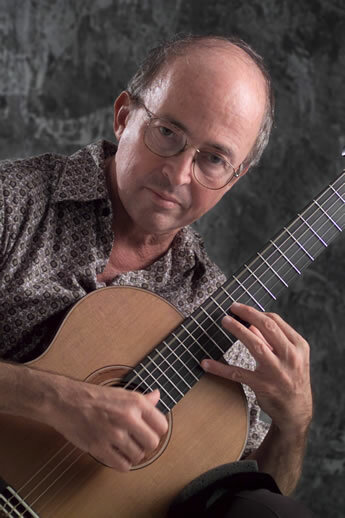 "HOMMAGE Ã€ BOCCHERINI"
Carlos Barbosa-Lima is a legendary musician and Brazilian guitarist, who has a prestigious artistic career with hundred recordings in USA, Brazil, Europe, etc. Tonight concert is a music tribute to some of the most representative Brazilian composers of all times. This performance is a celebration to enjoy and to listen classical and popular pieces written by genius of the Brazilian guitar. Undoubtedly, Carlos Barbosa-Lima concert is an artistic attempt to bring together music written by a unique generation. We can say, that their music is today part of the country cultural heritage. Their music is root in the rich Brazilian folklore and rhythms. Daniela Rodo, was born in San Jose, Costa Rica. She has become one of the most talented and gifted young performers in recent years, not only in her native country but also in USA, Latin America and in Europe. Miss Rodo has established herself as a leading pianist with creative, sensitivity and musical talent to build cultural and artistic bridges to promote her country's musical heritage and at the same time to perform classical music by European and Costa Rican composers. In her recent performances, she was acclaimed by the audiences at Carnegie Weill Recital Hall and by the Heads of States of Latin America, when she was invited by Costa Rican authorities to give a piano recital creating a great public admiration for her virtuosity and exceptional technical skills. Daniela Rodo has been invited by the Costa Rican National Symphony Orchestra to be a soloist, conduced by Maestro Giancarlo Guerrero. 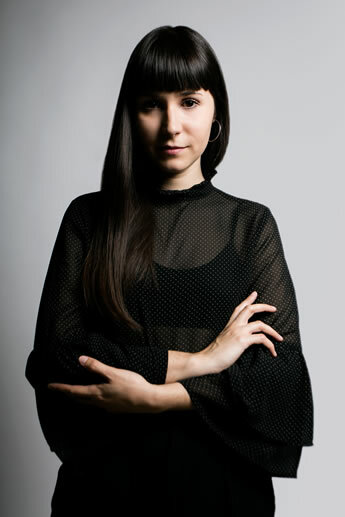 After she finished her studies at the University of Costa Rica, Daniela Rodo, started her post graduate studies at international prestigious musical institutions, amongst them, Tchaikovsky Moscow State Conservatory and Royal Academy of Music in London, receiving a complete musical formation by Professors Diana Ketler and Pascal Nemirovski. At present she is pursuing a Master Degree at Brussel Royal Conservatorium with Professor Aleksandar Madzar. Daniela Rodo is winner of several international awards in United States, from 2003 to 2011. Sofia Corrales,Soprano, was born in Costa Rica on March 17th, 1986. Sofia Corrales is a young brilliant vocal soprano and a rising new singer with a exceptional dramatic ability, she is at present one of the most talented and outstanding performer in operatic and concert stage. Recent highlights have included several operatic roles at the National Theatre of Costa Rica, singing as Michaela on Carmen by G. Bizet, Nedda on Pagliacci by R. Leoncavallo and recently as Mimi on La Boheme by G. Puccini (2016). Sofia Corrales begins her musical studies at the Conservatorio de Castella at the age of 14 years old and she was graduated as Vocal Performance at the National University of Costa Rica. Other studies includes a Diploma at the Royal College of Music, London and a Master Degree in Opera Performance at the Santa Cecilia Conservatoire in Italy. 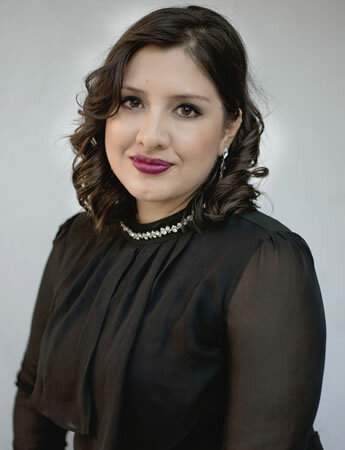 Cecilia Corrales has been invited on several occasions by The National Symphony Orchestra of Costa Rica to sing as soloist soprano, in different public concerts, with special attention to Mozart's Requiem and other classic vocal repertoire. Sofia Corrales is reckoned by the audiences and critics amongst the best young operatic performer in Costa Rica and in Latin America, beeng directed by Daniel Nazareth, Enrique Patron de Rueda and Carlos Spierer. LACCS-United Kingdom is proud to announce in association with the Embassy of Costa Rica the debut of two young talented musicians at St. John's Smith Square. This cultural and diplomatic event is unique in its genre for attempt to combine operatic singing and piano music by European, Costa Rican and Latin American composers. For the first time at St. John's Smith Square the audience will have the opportunity to listen music by Costa Rican composers, all repertoire is U.K. premier. In summary this concert is an opportunity to listen two young Latin musicians and to learn more about new music by Latin American and Costa Rican composers. Monday to Saturday 10.00am -5.00pm. About twelve years ago, Beihdja Rahal emerged as one of the most promising voices of the san'a, the classical "nuba music" that the people of Algiers colloquially call "Andalusian", which constitutes one of the six major School of Arab-Andalusian music of the Maghreb. It is surprising that this young woman, who chose to move to France in 1992, has had a career mostly in the Arab world where she is regularly applauded at the largest festivals from Tunis to Fez. The art of of Beihdja Rahal is thus a return to an ancient singing tradition, while taking into account the constant transformation of this music over the course of its history. 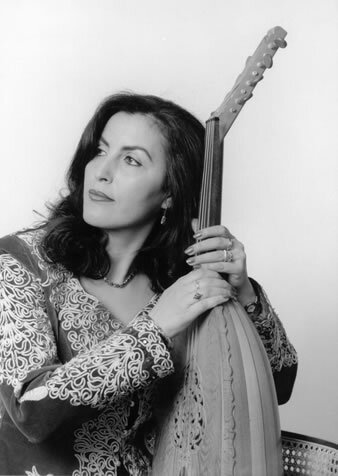 Beihdja Rahal was born in 1962 in Algiers to a family in which the practice of Arab-Andalusian music was commonplace. She studied music with great masters, particularly, Mohammed Khaznadji and Abderrezzai Fakhardji. 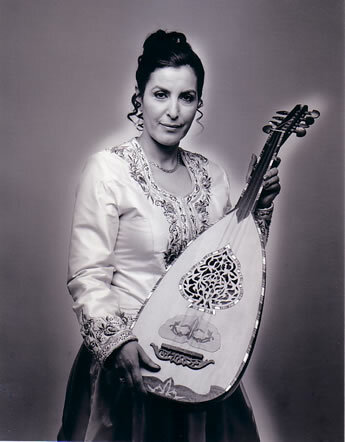 She learn the classical singing and to play the "kwitra", emblematic lute of the Algerian Andalusian orchestra. She studied with some of the most prestigious musical groups of Algiers, El Fakhradjia and Es-Sounddoussia. Beihdja Rahal, innovate her approach to classical Algerian music and instead to be part of a symphony orchestra, she opted for solo singing and accompany by a small group of instrumentalists: the kwitra, lute 'ud, violin or viola, mandolin, flute nay, zither qanun, small tambourine, cymbalist tar and the "darbuka". This instrumental formation brings the musicians more freedom and flexibility. The chamber ensemble magnifies the voice of the singer, highlighting its sensual warmth in the middle range,creating inspirational and emotive notes. The "nuba" is the core of the urban musical tradition of the maghreb and the most classical expression of Arab-Andalusian music, the origin of which goes back to Medieval Arab kingdom of the Spanish Peninsula: Al Andalus. 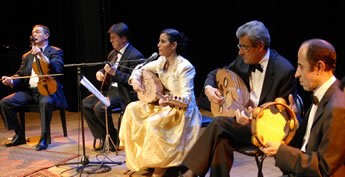 Arab-Andalusian music is characterised by a codified organisation of musical performance in the form of a vocal and instrumental suite, the "nuba", compose in a main melodic mode tab (plural tube), with rhythmic cycle that structure its development, the interpretation by a singer or a chorus, accompanied by a small instrumental ensemble, a body of poetry which is partly shared by the various schools (Libya, Tunisia, Algeria Constantine, Algiers, Timken, Morocco), a philosophical and cosmogonic conception of the modal system inherited from the Greeks through Arab scholars, the corollary of which is the notion of modal feeling, reflecting in the listener as an almost a ecstatic rapture, or "tarab". The "Nuba" of Algiers repertoire developed over the centuries though exclusively oral transmission from masters to disciples. Its was permanently transformed and reviewed. However, at the end of the 18th century we can fin the first manuscripts. The masters (ma'am), began to classify the pieces of "nubas" and related genres. Nevertheless, the serious work to save this musical tradition began with foreign musicologists who came to Algiers at the end of the 19th century: E. Salvador-Daniel, Christianowitsh, Jules Rouanet, and others. At the beginning of the 20th century the last ma'am, led by Mohamed Ben Ali Sfindja (1844-1908), definitively contribute with his musicological work to organise the texts, published and recorded in 1904. The"nuba Zidan" is the seventh "nuba" of the repertoire in the classification of the modes, It was associated with the night according to the ancient cosmogonic belief connected to the tubu'. The version performing tonight by Beihdja Rahal is inspired in the tradition of Algiers ancient chants. Second part music and song belong to the 1700's.